BioWare Co-Founder Dr. Ray Muzyka has released a lengthy statement for fans both in support of and against the conclusions of Mass Effect 3. In it, Muzyka discusses his teams drive to make the game and responding to fan feedback, both negative and positive. He also asserts that they're working on a solution for the problems at hand, and that more content is coming both in the form of DLC and completely new games. Exec Producer Casey Hudson and the team are hard at work on a number of game content initiatives that will help answer the questions, providing more clarity for those seeking further closure to their journey. You'll hear more on this in April. We're working hard to maintain the right balance between the artistic integrity of the original story while addressing the fan feedback we've received. This is in addition to our existing plan to continue providing new Mass Effect content and new full games, so rest assured that your journey in the Mass Effect universe can, and will, continue. As a gamer, there are two points that I find troublesome with this whole thing. 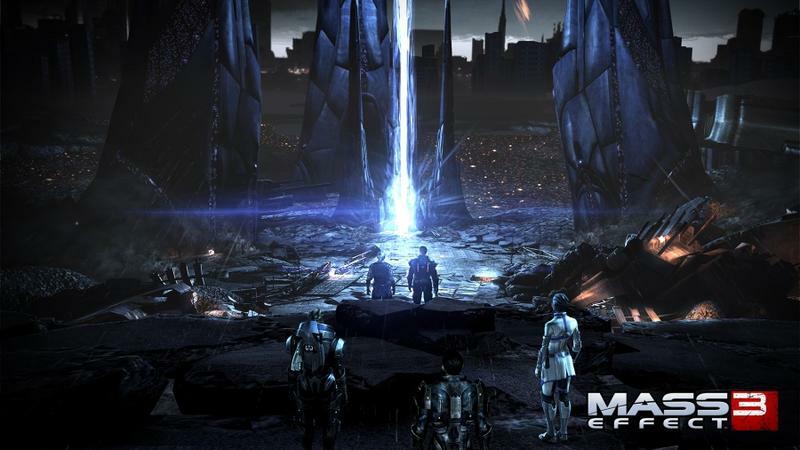 I'm completely disregarding whether or not one hates or loves the Mass Effect 3 conclusion. It all comes down to potential milking for DLC and the integrity of an artist's work. The BioWare team built a story with a vision in mind. Fans were so upset with the product that they demanded it be changed. Now, BioWare is getting back to work on their vision to make it better. How does that work if we consider games to be art? I do, at least. This medium is an art-form to me. Developers are artists. Asking them to go back and redo something, in my mind, won't necessarily produce something better. They were passionate about their conclusion, as right or wrong as it was. Do you think they'll be passionate about doing it again? As for DLC: if this new content that's meant to tie these endings up and make them better is released for free, I won't complain. But, if EA finds a way to charge gamers $10 or $15? That will stink. I know a lot of fans will happily pay it to find out what happens, but I'll be sticking with the original ending if they decide to slap a price tag on it before it drops. Where do you stand with BioWare now that Muzyka has released this statement?